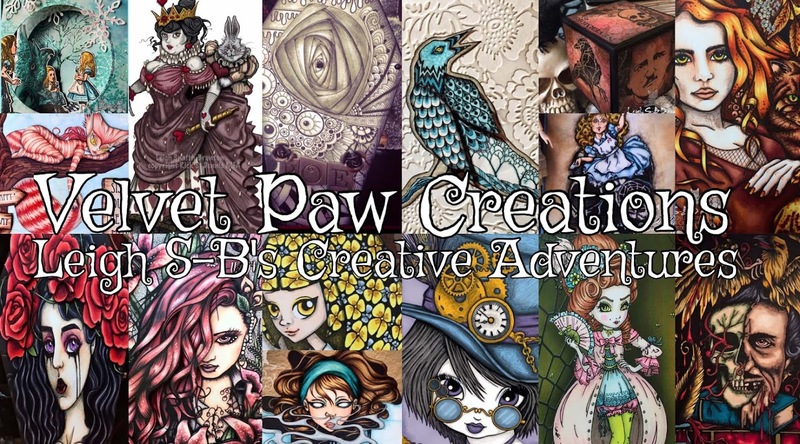 Velvet Paw Creations: "Summer Wishes" A Third Coast project plus Check out the Anything Goes Challenge at our Third Coast Creative Challenge Blog! 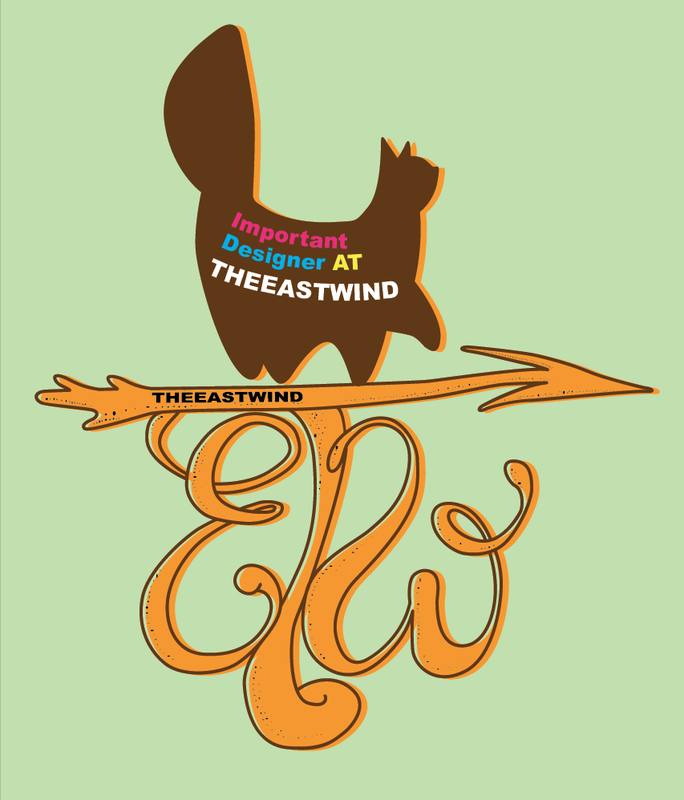 "Summer Wishes" A Third Coast project plus Check out the Anything Goes Challenge at our Third Coast Creative Challenge Blog! I hope you're all having a fabulous week and enjoying your summer vacations!! 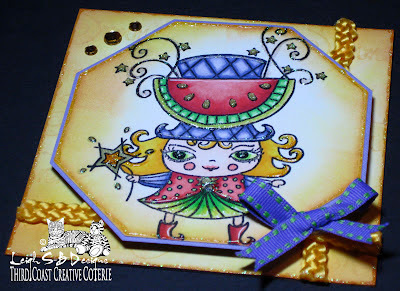 As Challenge Coordinator I'm hosting a new challenge over at Third Coast Rubber Stamps brand new blog and you're all invited to come and play with me ;0) TCCC#2 starts August 1st and its a fan favourite, an Anything Goes challenge! 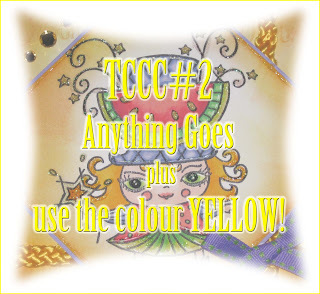 Which means the theme is open to whatever your heart desires...however, I did throw in a twist ;0) You must use the colour Yellow in some way, whether it be incorporated into your coloured images or you use yellow cardstock or flowers or ribbon...you get the idea! I was inspired by all the glorious warm weather we are having...aahhhh...to create this sun drenched, summer party time card to get you all in the mood for creating with YELLOW! 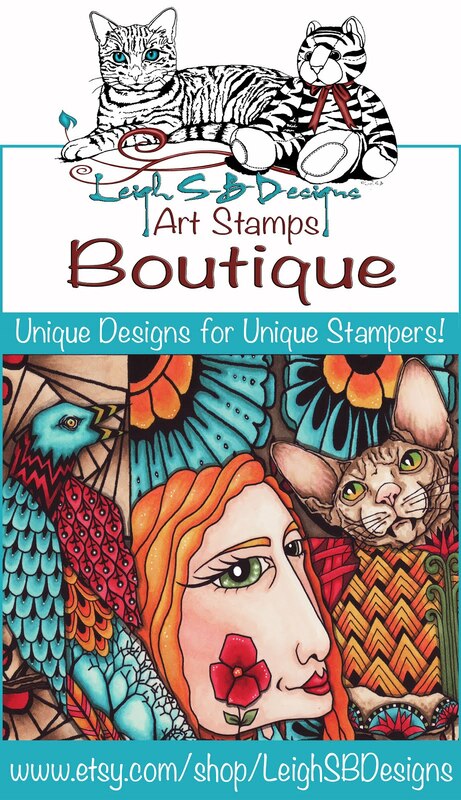 I used Summer Pixie LS-007-R by Third Coast Rubber Stamps on my very Yellow influenced square card! 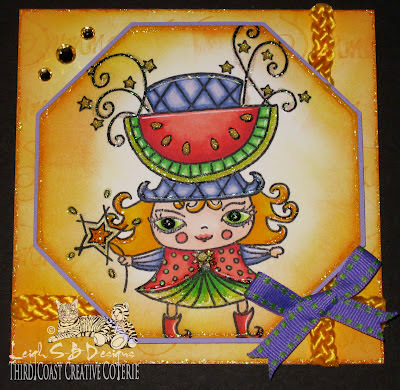 Isn't she adorably quirky and just screams SUMMER with that enormous watermelon decorating her carnival hat! 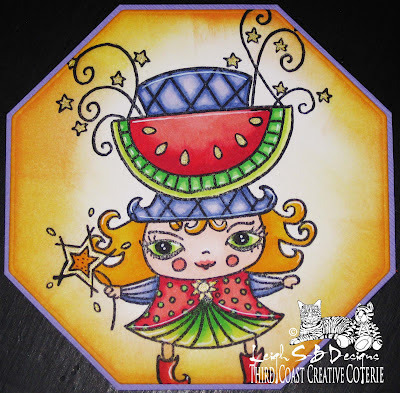 Stamp her on Neenah Solar White cardstock with Tuxedo Black Memento ink and colour with the following Copic markers: Hair: Y15, 17 and 38, Face: R00 and R22, Eyes: YG00, 03 and 06, Watermelon, Clothes and Hat: R32, 35, 46, YG00, 03, 06, 09, BV000, 02 and 04. 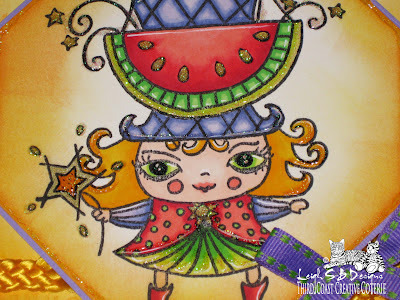 Colour all the stars with a metallic gold gel pen and add white highlights with a white gel pen or Marvy Le Plume Opaque White marker. 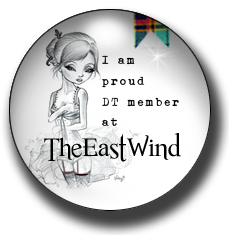 Die cut out the image with an octagonal Spellbinders die and a slightly larger mat from lavender cardstock. Apply Dandelion and Cantaloupe Memento ink to the panel with a foam ink applicator tool and finish off with a touch of Dried Marigold Distress Ink concentrated around the outer edges. 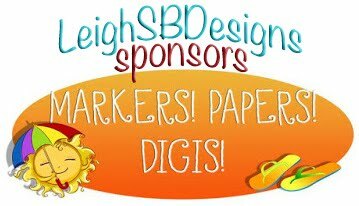 Adhere the stamped panel to the mat with double sided tape and apply yellow Stickles glitter glue to the design and to the edge of the die cut for lots of summery sparkle. Put aside to dry. 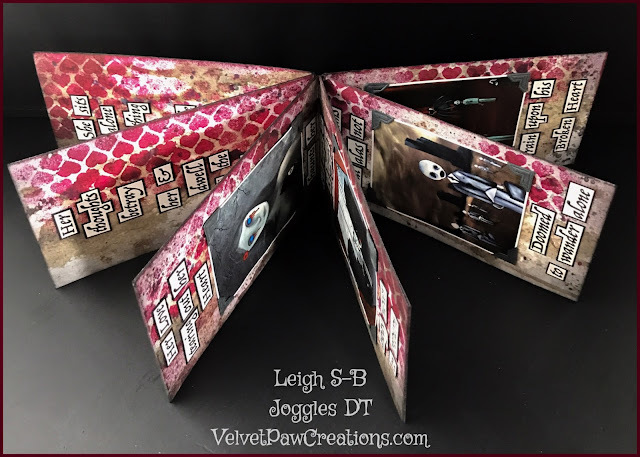 Make a square top fold card from white cardstock. 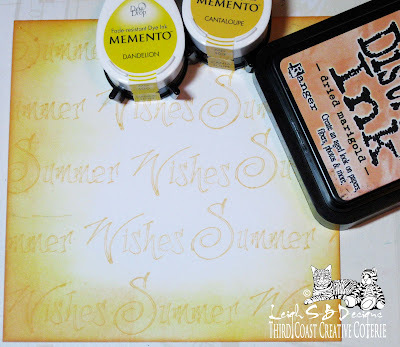 Stamp the entire front of the card with Third Coast Rubber Stamps' Summer Wishes (WS-197-G) sentiment in Cantaloupe Memento ink. 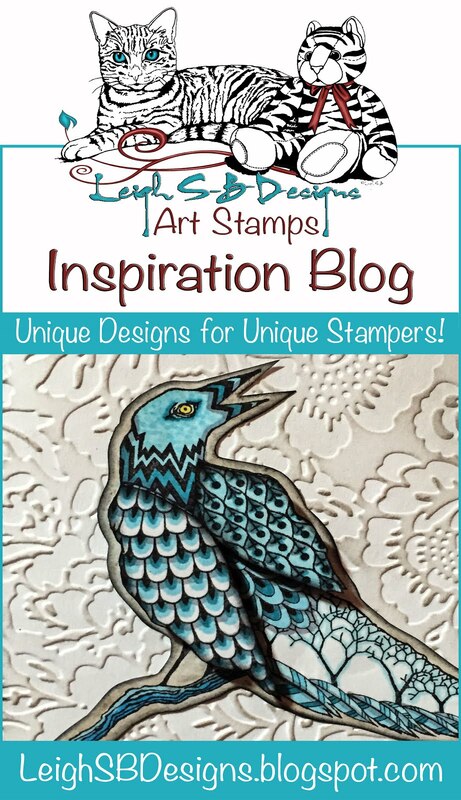 Apply Dandelion, Cantaloupe and Dried Marigold inks to the outer edges of the card just like the stamped panel. I recycled this wonderful silk braided trim from the handles of a gift bag I threw out. Cut the braided trim to size and apply craft glue to the ends to stop it from fraying (or melt it carefully with a flame). Adhere the braided trim to the card with craft glue. Apply yellow Stickles glitter glue to the edges and put aside to dry. 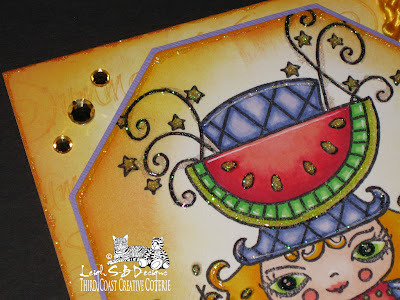 Adhere the stamped panel to the card with pop dots thick enough to accommodate the thickness of the braided trim and embellish the top left corner with amber coloured self-adhesive jewels. Make a bow from purple ribbon that has lime green stitched detail along the edges and adhere it to the card with a glue dot. 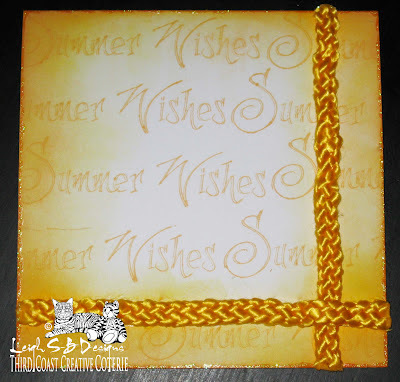 Stamp the inside of the card with the "Summer Wishes" sentiment and fill in the spaces in the font with a metallic copper gel pen. Complete the look with even more yellow Stickles glitter glue so that the card sparkles on the inside too! 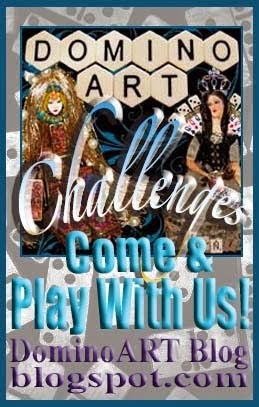 I've entered this card in the following challenges! This pixie is soooo cute. I love how brightly you colored her. And, that summer background is really "hot"!! Sounds like a fun challenge. This is SA WEET, love the braid! What a cutie. Gorgeous creation. 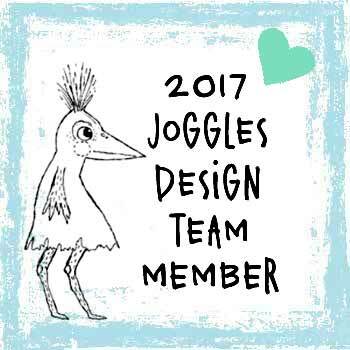 Thank you so much for joining us at Totally Papercrafts this time and good luck. 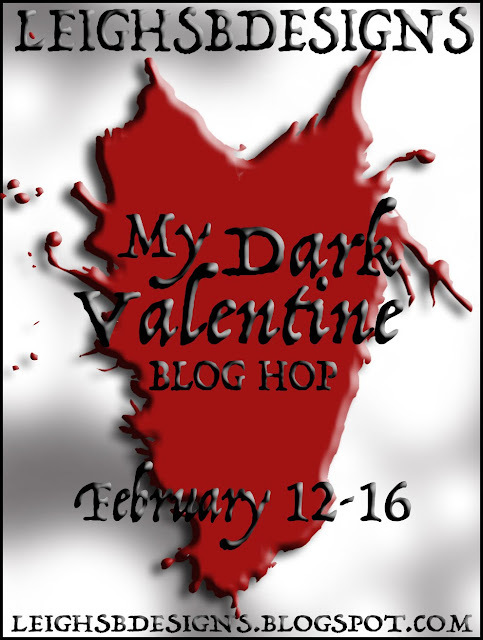 Thanks for joining us at Secret crafter Saturday Challenge this week and good luck! 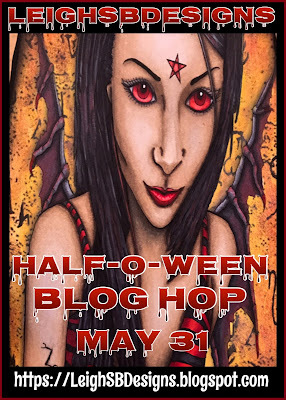 Lots of beautiful, rich colors here, Leigh, and the fruit on her head reminds me of the Chiquita banana lady! Remember those commercials? Very colourful and cute card!